customize a variety of features from your Dashboard. 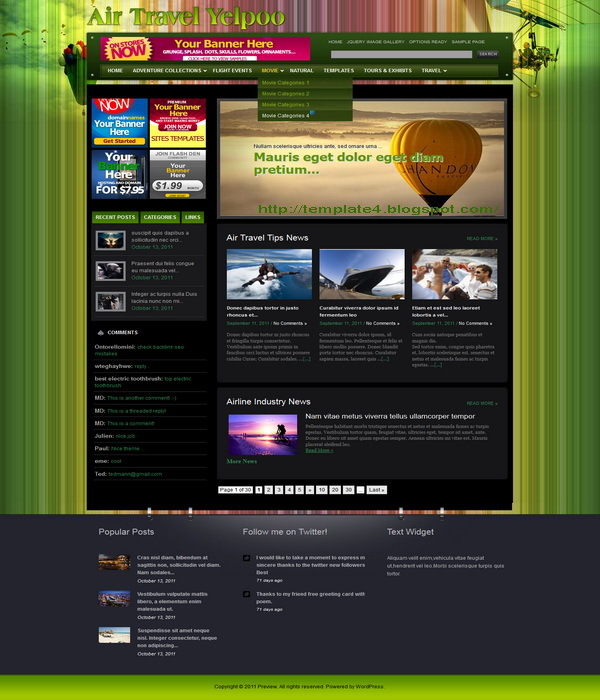 This theme has valid XHTML, gravatar support, adsense ready features. Furthermore, it is compatible with the latest WorldPress and its banner positions can be turned on/off.